Park City would be “key to any bid” from Salt Lake City for the 2026 or 2030 Winter Olympic Games, Utah Sports Commission President and Exploratory Committee co-chairman Jeff Robbins has claimed. A number of officials from Park City, located 34 miles east of downtown Salt Lake City, have been included on the Committee looking into a possible bid from the region for either the 2026 or 2030 Winter Olympic and Paralympic Games. Park City staged several events when Salt Lake City last hosted the Games in 2002. Giant slalom, snowboarding parallel giant slalom and snowboarding halfpipe events were held in Park City, located in Utah. Colin Hilton, President and chief executive of the Utah Olympic Legacy Foundation, and Grant Thomas are among those on the Committee who worked for the Salt Lake City 2002 Organizing Committee. 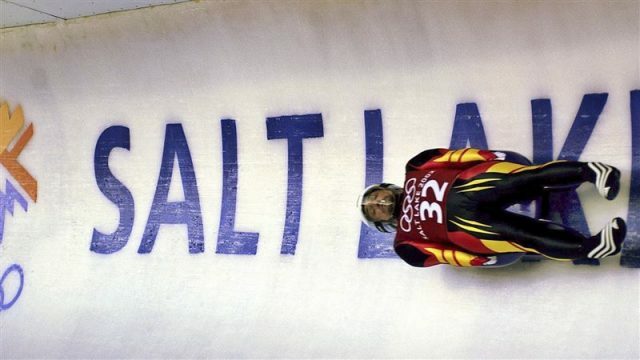 Five-time Olympic speed skating gold medalist and multiple world champion Eric Heiden, who now works as an orthopedic surgeon in Park City, and Chris Wadden, who claimed five titles at the Winter Paralympics, have also been named. It is co-chaired by Robbins, Fraser Bullock, chief operating officer of Salt Lake City 2002, and Utah Senate President Wayne Niederhauser. US Speedskating President Mike Plant and US Ski and Snowboard chairman Dexter Paine have been confirmed as the Committee’s vice-chairmen. The Committee will put forward a recommendation as to whether the American city should pursue a bid for the Winter Games by February 1. “You couldn’t do an Olympics without Park City,” Robbins was quoted as saying by Park City-based publication Park Record. Denver and Reno in Nevada are other American cities mooted to be interested in launching a Winter Olympic bid. The United States Olympic Committee (USOC) have until the end of March next year to put forward a potential candidate after the International Olympic Committee (IOC) launched a streamlined candidature process for the 2026 Games last month. USOC officials revealed they were targeting hosting either the 2026 or 2030 Winter Olympics. USOC chairman and IOC member Larry Probst said 2030 would be the ideal scenario for the country in order to avoid a conflict with Los Angeles 2028. Probst refused to rule out a possible bid for the earlier event, however, claiming they would want to be part of any conversation on a possible double award of the 2026 and 2030 Winter Games. America has hosted the Winter Olympics on four occasions – at Lake Placid in 1932 and 1980, Squaw Valley in 1960 and Salt Lake City in 2002. The build-up to Salt Lake City 2002 was overshadowed by a vote-buying scandal, which led to the expulsion of 10 IOC members with another 10 sanctioned.